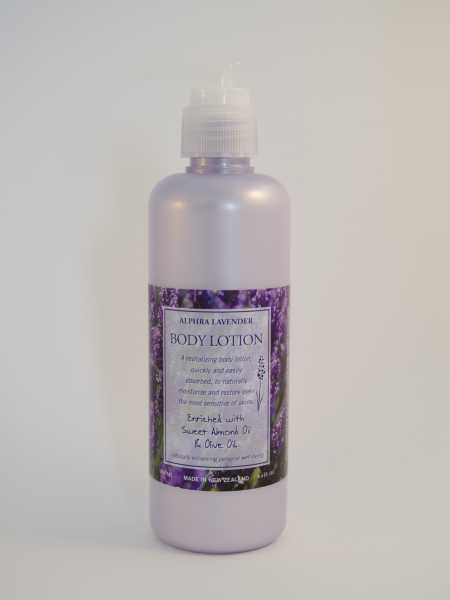 A revitalising lavender fragranced body lotion, quickly and easily absorbed to naturally moisturise and restore even the most sensitive skin. The health giving ingredients of sweet almond oil, olive oil, macadamia seed oil, aloe leaf extract and our essential oil of lavender assist in repairing skin to its normal condition. This nourishing body lotion makes skin feel silky and smooth, and provides a real sense of comfort and personal well-being. What makes this product really unique throughout the world? After a long period of research we concluded that international trends in body care were focussed on natural well-proven remedies. We also noted that many body lotions were principally water, offering minimal body-available health benefits, perhaps with the use of a single level additive feature, which was claimed to provide significant advantage. You will immediately appreciate the gentle pleasure of this silky smoothing body lotions and the confidence of knowing your skin is being nourished, exactly as nature intended for you.